We've been having yard work done lately. We actually hired two people to come and weed whack around the house and outside the fence perimeter. 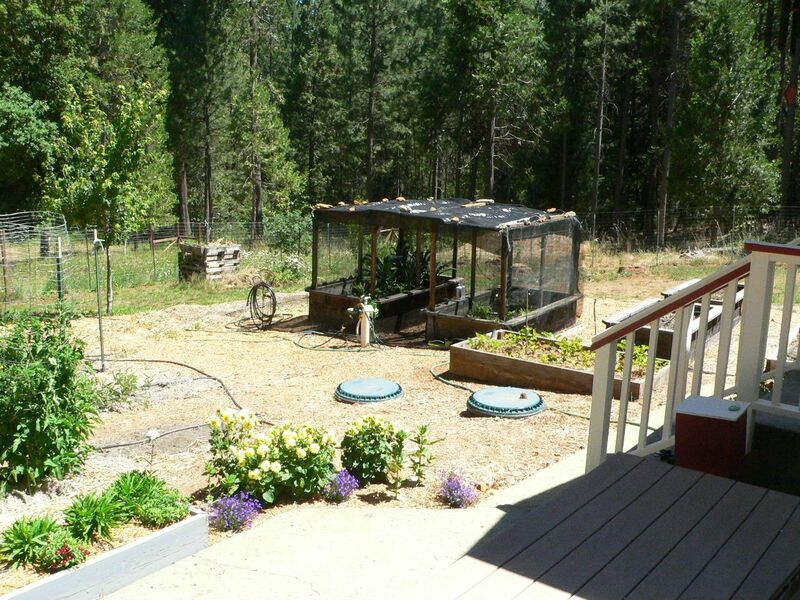 It really looks so much better when knee-high grasses, vines, sticky things, burrs and dried out vegetation is cut-away. It looks neat. I should have taken before and after photos, but who needs to see an over-grown patch of land in a dry summer heat? We all know what that looks like. It ain't green and it ain't pretty. An after pic would still look dry, but somehow manicured, if weeds whacked within an inch of their lives can look manicured. 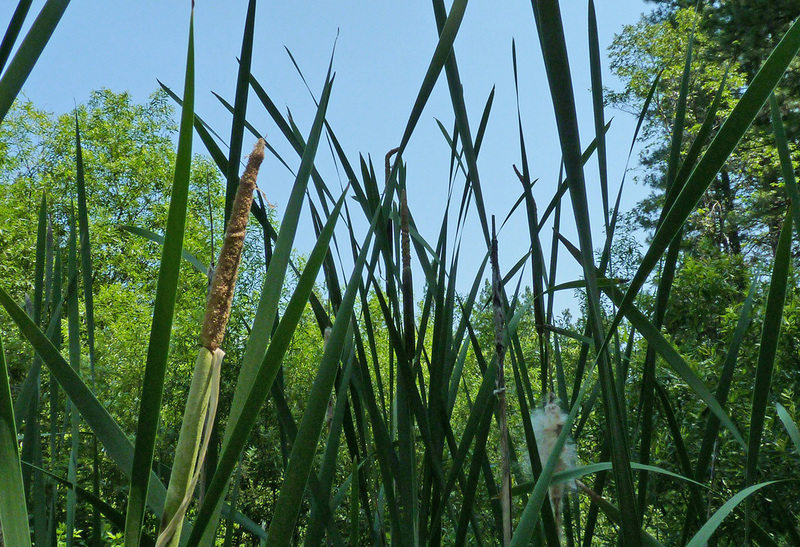 We asked the yard crew to pull some of the cat-tails down by the pond. They were choking off the outflow, and would only get worse if we left them to grow. We liked the way they looked (and their pollen makes good bread), but they are not particularly healthy for the long life of the pond. They had encroached quite a bit in the three years that we've been here. So, the crew arrived early one morning and started going at it. Click on the pic to see the purple arrows pointing at the mosquito fish! We went down to chat with them, and they reported very enthusiastically about the life teeming in that pond. 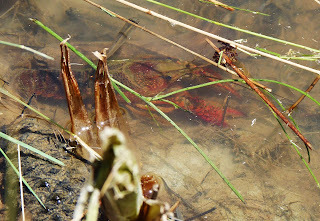 They saw turtles (seriously, we had no idea there were turtles here) lots of "crawdads." I had found the empty red shell of one the first summer we were here, but none since. It took just a minute of looking and we saw three right away and a little gray young one. It was quite a gratifying surprise. We also saw literally hundreds, if not thousands, of mosquito fish. We knew we had some, but the sheer numbers amazed us. In fact, one of the work crew offered to go into business with us selling mosquito fish. She told us we could sell two for a dollar. We have a little mosquito fish gold mine right here in the gold mining foothills of the Sierra. But we declined. We like the pond teeming with life, including the crayfish, which one of our neighbors suggested we catch and eat. No thanks. 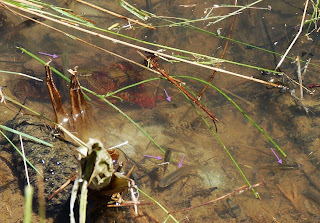 We want all the little critters just where they are, in their natural habitat in our little human-made pond. 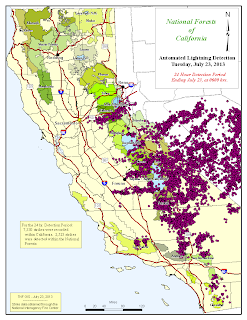 We don't know when the deserts of California started having monsoon rains, but they do in the summer now. When the pressure system is right, thunderstorms roll up the Sierra mountains creating as many as 7300 lightning strikes in one night. Monday night was like that. We didn't see any lightning here, but the clouds rolled in Monday afternoon, cooling down our 97+ degree scorcher and providing us with much needed relief. Sierra skies are so typically cloudless in the summer that when clouds do show up, we have to go outside just to see what splendid things are happening up there. After dinner I walked out on the deck and looked at the western sky. 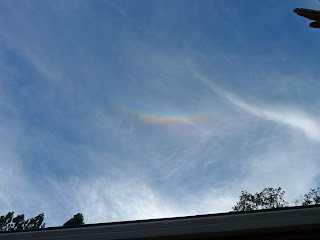 The sun was already behind the hills, and I saw my first circumzenithal arc. 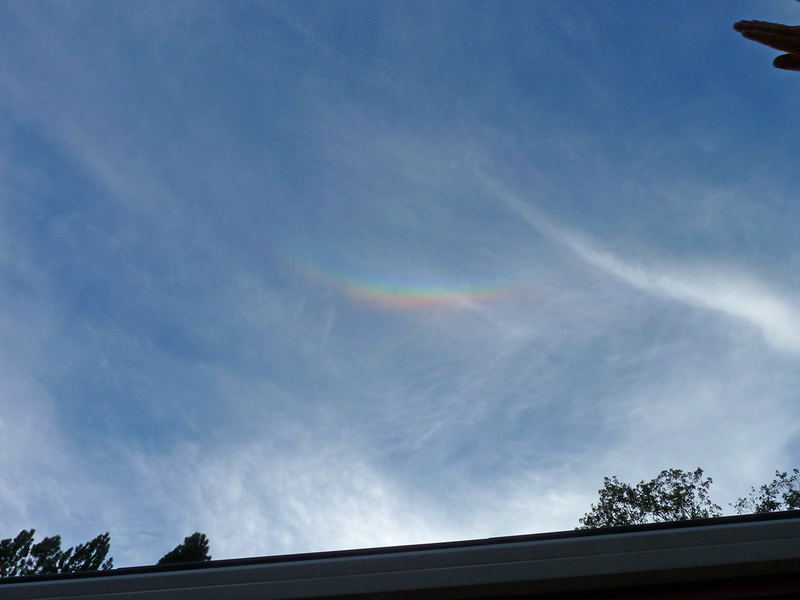 And thanks to Atmospheric Optics, I knew what it was as soon as I saw it. Sights like this don't last very long. It's that ephemeral quality that makes it so beautiful. One of the things I have been wondering, now that we are planning to sell the house next spring, is how much of what we see in the sky is particular to the skies here. Is it the elevation (2600 ft), or the proximity to a mountain range, or being on the western slope where weather systems stall? Or, is it that we have enough free time and attention to see the things that are normally fleeting and ephemeral? What do you think? I know a lot of people say that they don't see skies like this, but why is that true? 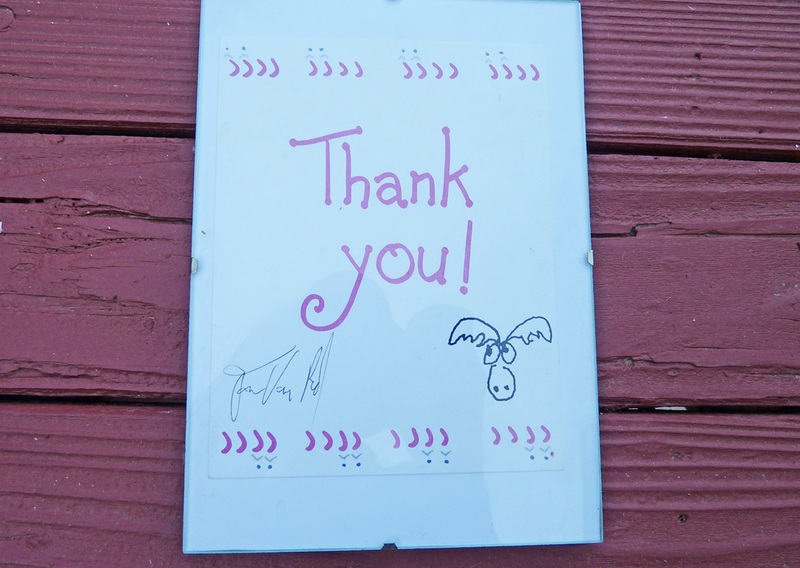 This is a card that Dave Van Ronk signed more than a decade ago. Roger had heard on his favorite radio station that the "Mayor of MacDougal Street" was quite ill and in need of some financial assistance. We were glad to send something his way. We didn't expect to get this wonderful card in the mail. We saved it all these years. We did "misplace" it a few years ago during one of our many moves, but found it again just the other day while cleaning out the old filing cabinet. We literally had not looked in that thing since we left Port Townsend in 2008. 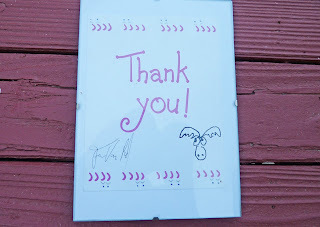 We put the card in a little frame, and now it sits on Roger's dresser. I photographed the card today because we both feel such gratitude for your comments and support in our never-ending quandary about where to live. I feel like we're trying to stay one step ahead of the global climate change models and choose the right place for enough water and sunlight until the end of our days. It's a serious decision. The future looks so dire and so HOT. It may be that we are being overly influenced by this endless heatwave, but the endless rain in the southeast fills us with foreboding as well. That's why we thank you for your thoughtful and considered comments. We appreciate it and will probably ask again as we begin to search for our future. We know it won't come as a surprise to those of you who have been reading this blog for years that we are restless again and have started thinking about selling the house and moving. I know what you're thinking: We're absolutely out of our minds. Roger is going to be 71 in early August, and we have moved five times in the past ten years. 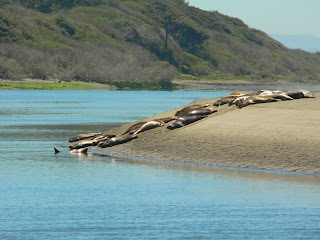 We sold our house in Santa Cruz in 2003 and spent a year in a rental while we plotted our move to Port Townsend in 2004. 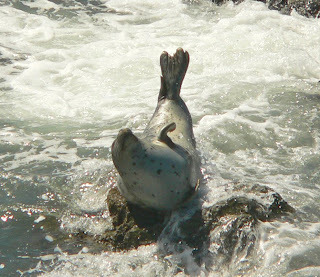 We spent four years in Port Townsend, but had grown weary of the dreary weather by the second year. We sold our PT house in 2008 and headed back to northern California, where we spent the summer in Arcata, in Humboldt County. We liked it up there. It was a bit foggier and grayer than we wanted, but what sent us back to Santa Cruz was our aging mothers who needed us to be a bit closer, and the land and housing stock for sale at the time was absolutely dismal. It's been great re-reading our blog posts from the summer of 2008. It helps to remember reality as we recounted it then, rather than rely on our rather faltering memories. 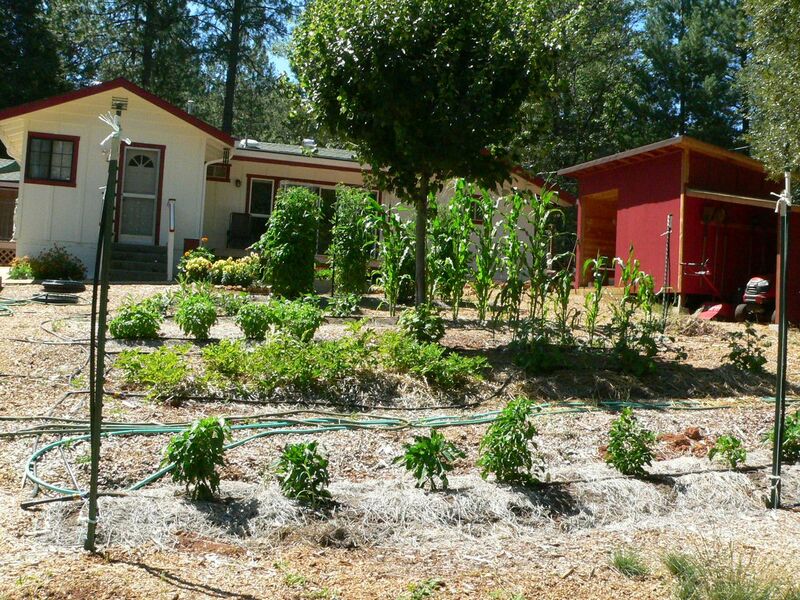 So here we are, three plus years in this house on these five acres in Grass Valley. Why are we contemplating such a crazy move again? CABIN FEVER. Seriously. We have spent almost the entire summer in the house with the shades drawn, the air conditioner on, and the ceiling fans whirling. If a bobcat or coyote has wandered by, we would not know. The world goes on outside our windows, and we sit in a cool dark room. Roger goes out in the early morning and gets the outside work done. He has been splitting the cord of oak we had delivered two weeks ago. He inspects the watering system. He mows the little grassy part of the yard. That's it. We haven't even gone out for a hike. IT'S TOO HOT. And this is a regular summer in Grass Valley. It's not unusual or record-breaking hot; it's actually maintaining its July averages. We did have a monstrous heatwave, but that passed. We're just left with 90+ temperatures everyday. It's not fun. We're spoiled; we want fun. We want to go out and romp around in a river. We want to hike in the redwoods. We want to bike ride into town. We want to have the windows open and the air circulating by its very own nature. So, we started thinking about Arcata. Should we try it again? Are we just trading too much heat for too much fog? We're not sure. We checked the Sunset Magazine growing zones for California and found that it is the same as Santa Cruz. 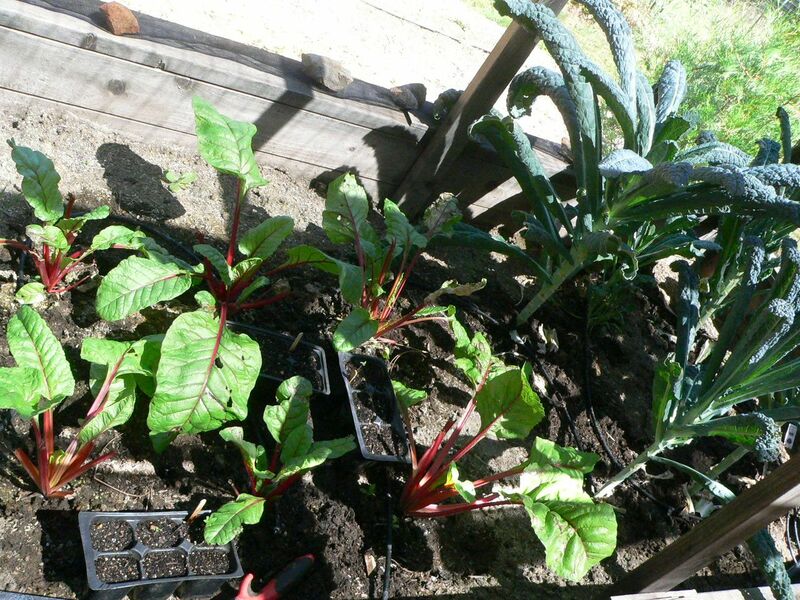 We could grow lots of fruit and veggies. We could grow greens and flowers all year long. We looked at our old photos of that summer. 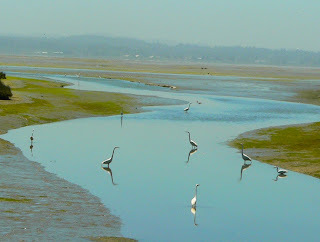 We could walk the beaches at the mouth of the Mad River. We could play in the redwoods. We could plan to buy something within biking distance of town. roger update: and there are hippies too. we like that. check it out. .
looking west at row crops. peppers. potatoes. basil/corn. beans/corn. tomatoes. dahlias/zinnias. everything gets drip water. the three closest rows get overhead water too. this year's new thing. a shadehouse for tender leafy stuff. you can see the raised beds moved to this location here. we began with 30% shadecloth just on top. one 3x6 bed. chard and kale. we've eaten a lot of kale. the chard got a bad start, burned by the sun. so we put the 30% shadecloth on the side for morning and afternoon sun, and 70% shadecloth on top. the chard perked up. then something began eating the it, leaving the skeletons of the leaves. thinking it was bugs, i dusted with diatomaceous earth. then we notice lesser goldfinches eating the chard! i closed off the remaining openings with bird netting. now we might get to eat some. the other bed. 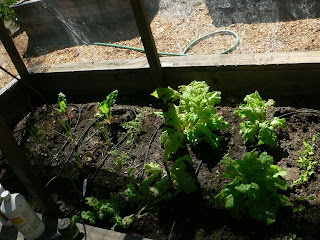 we have harvested and eaten several lettuces from here already. 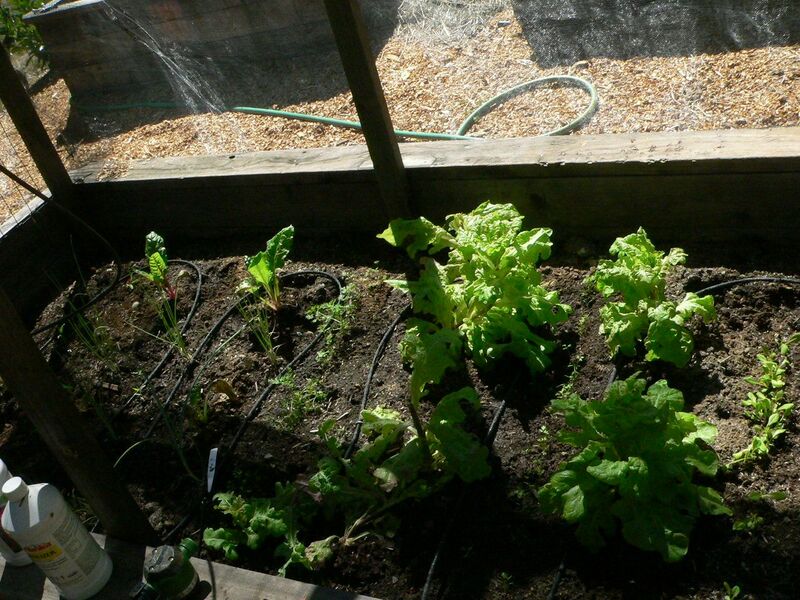 there is mesclun mix coming up. leafy lettuce that we've eaten. onions from seed from our own onion flowers. carrots and beets. might be a bit crowded. 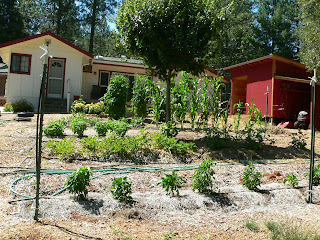 we started with little sprinklers in each corner of each bed and soon saw that overhead watering didn't work. changed to drip lines and all is much better. It's hot. 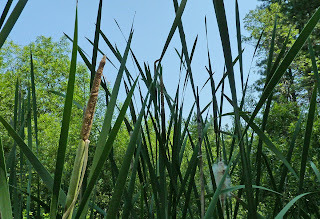 Too hot to think or be creative or venture down to the pond for a look around. It's a hundred degrees day after day after day. We stay indoors with the shades drawn, the air conditioner on, and the ceiling fans whirling overhead. Retirement has its perks. We don't have to go out. We don't have to do anything until this heat wave nightmare is over. We feel lucky that we have the freedom to hide. I did go to the pond for this photo. It was 99 degrees. Our neighbors M & C arrived for their vacation time at the family cabin up the hill from us. They're here for the week. The cabin has no air-conditioning. It's VERY HOT inside. We've offered them some respite from the heat; they have joined us for dinner; they have come by just to cool off. This photo was borrowed without permission from the internet. 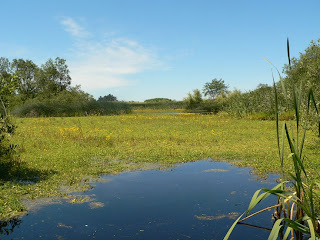 When M came by on Monday, he brought a plastic baggy of cattail pollen that he had collected. 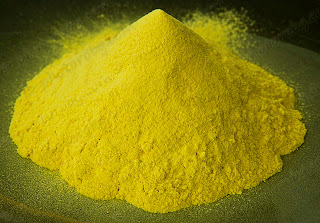 It's a beautiful rich yellow pollen that people have used as flour for baking. He had been fantasizing about collecting pollen and baking something with it for years. So, despite the crazy heat, he decided to do it. We looked up cattail pollen recipes and found that most people use about 1/3 cup of pollen added to a cup of flour. He wanted to be a purist and use just pollen, but that didn't seem right. After he looked at a few recipes and had cooled off sufficiently to head back up the hill, he left saying he was definitely going to bake something. 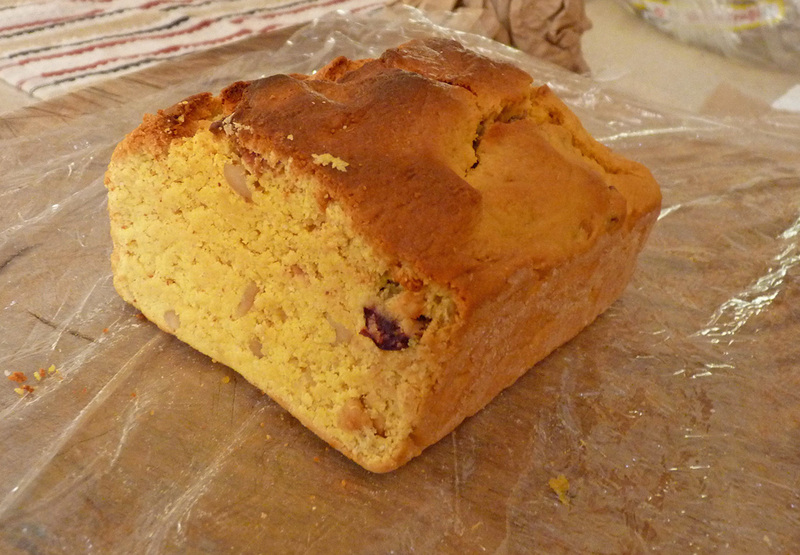 M came by on Tuesday with this beautiful little cattail pollen bread. He had used the pollen, plus flour, baking powder, olive oil, eggs and cranberries. He had taken the little toaster oven out on the deck and baked the bread outside. Smart idea. Much too hot to turn an oven on indoors. We were impressed with this bread. It's sweet with an interesting, earthy taste. Beautiful color and wonderful consistency. Such a cool thing on a hot hot day. M said that he and C were going to take a drive up to the high country to a lake to go fishing. We said "Have a good time. We're going to hide here until the heat wave passes. Stop by after if you need to cool off." We walked him to the door, waved good bye, and then went into the dark room to wait for saner temperatures.